The R.E.A.C.H program is a rural health residential summer program that targets 1st & 2nd year Medical students and Physician Assistant students attending a North Carolina School. All medical students must have successfully completed their first year of medical school by May, 2019. The summer program is an externship that exposes students to rural community medicine through several different learning experiences. The program requires a two week and one day commitment from each student. Students will receive a $1000 stipend, free housing and some meals will be provided. Students are required to provide their own transportation. Additionally, students will keep a daily journal and write a 5-8 page reflective paper about their experience upon completion of the program. Through the R.E.A.C.H summer program students will; shadow and network with rural health professionals, experience the richness of community and family, gain knowledge from interdisciplinary training and develop an appreciation for its history and culture. For more information contact, Tonya Baldwin, MA, ORPCE Coordinator 336-832-8566. Applications are accepted January 2 – May 1, 2019. Applicants must be a 1st or 2nd year medical student or a Physician Assistant student with an interest in rural health and attend a North Carolina Medical School. Applicants must be prepared to commit to spending two weeks in the central region of North Carolina (Asheboro). The program dates are June 10 - June 21 with a one day return on June 28 for a poster presentation. Applicants need to complete the application below, submit an official transcript, two letters of recommendation and write a one page essay (in the form below). The deadline for completed applications is May 1. All submitted applications must be postmarked by May 1, 2019, to be considered. Applications will be reviewed and five finalists will be contacted for phone interviews. 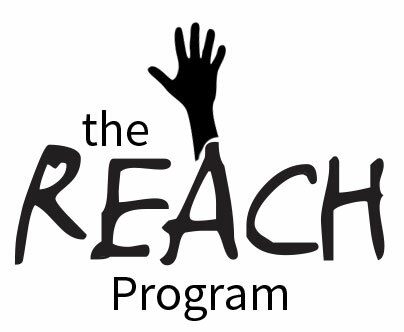 Two students will be selected to participate in the R.E.A.C.H program. Acceptance letters will be mailed to students by May 16. Two students will be selected for the program. Please mail two letters of recommendation to Tonya Baldwin at the address above from faculty members (include the letters with your completed application). Each letter needs to be in a separate/sealed envelope with your recommender’s signature written across the flap on the back of the envelope. 1. Explain your interest in the R.E.A.C.H program? 2. Why do feel you are a good fit for this program? 3. What would be your goals as a healthcare provider in a rural setting?